I was part of the apps and hardware team where I lead the software design for this new Google product. This simple adapter is the best way to stream high-quality music to existing speakers and multiple rooms throughout the house. New devices are auto-detected when the app is opened and a straightforward setup proceeds. A simple set of cards were designed to represent the variety of devices and their status (e.g., active vs inactive). 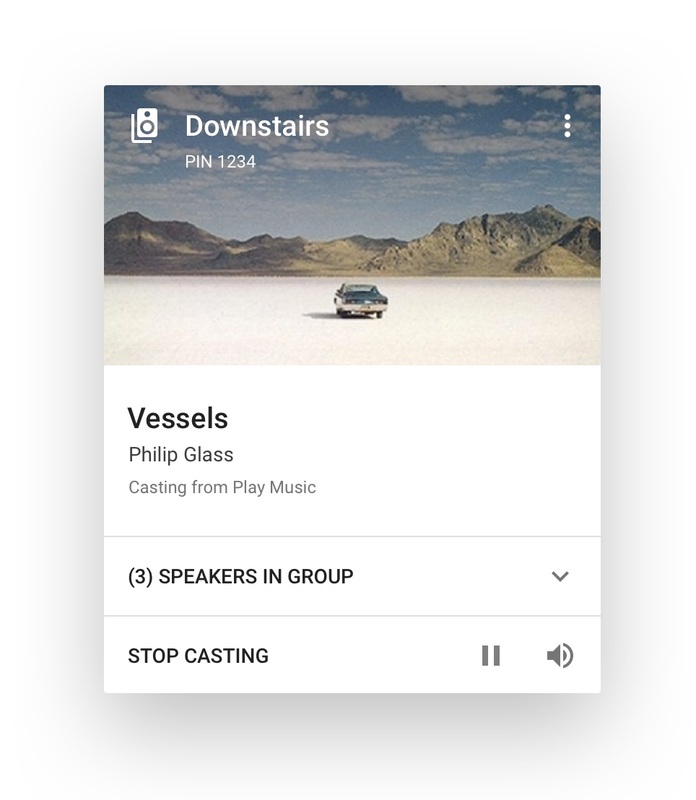 Once groups we’re active, users could clearly distinguish multi-room controls in the Chromecast app. Card designs support the device-type and varying data (e.g., album art, meta data) with basic media controls during playback. Since music is best enjoyed loudly and without interruptions, Chromecast Audio was designed to link multiple speakers and support multi-room playback. Chromecast Audio works with existing apps on both iOS and Android. Users simply press the "Cast" button to quickly stream content through their speakers. Most speakers don't have a screen to communicate media actions. To improve usability, I directed the design of the key sounds heard when interacting with the device. The sounds provide feedback for users and create brand personality for the product.